OK people, dreams have come true this time around on the restaurant challenge. 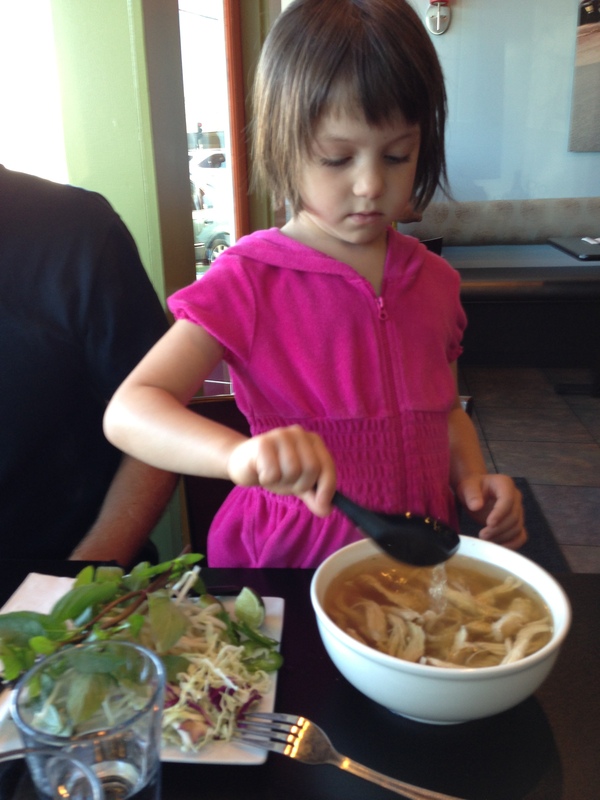 My children actual begged to return to a Vietnamese restaurant we recently picked from the bucket. 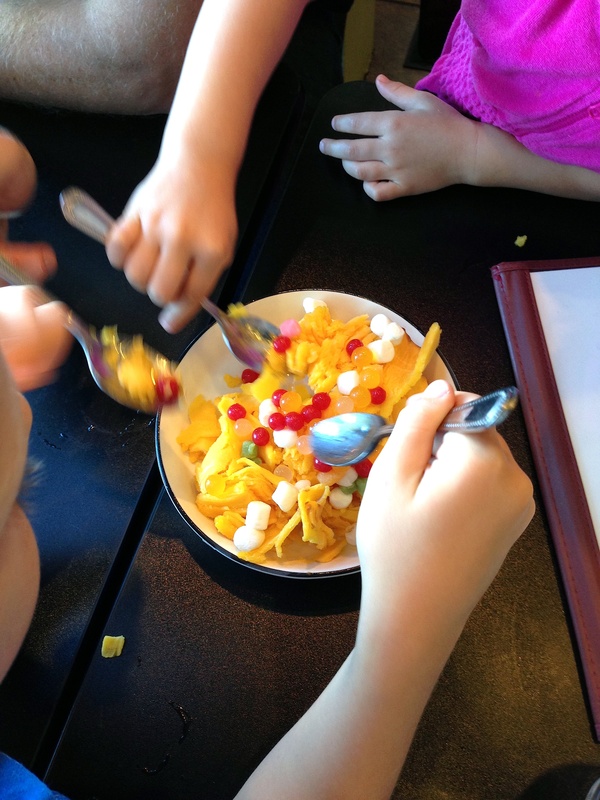 Never mind that it’s mostly due to a dessert piled high with mango shaved ice, bits of marshmallow, and tapioca pearls. I love Vietnamese food. I am glad it’s now a part of our regular rotation of restaurants. I am glad that my kids have found new foods they like even if it was a dessert that got ’em in the door. Pho Ga but with Egg Noodles: Thumbs Up! 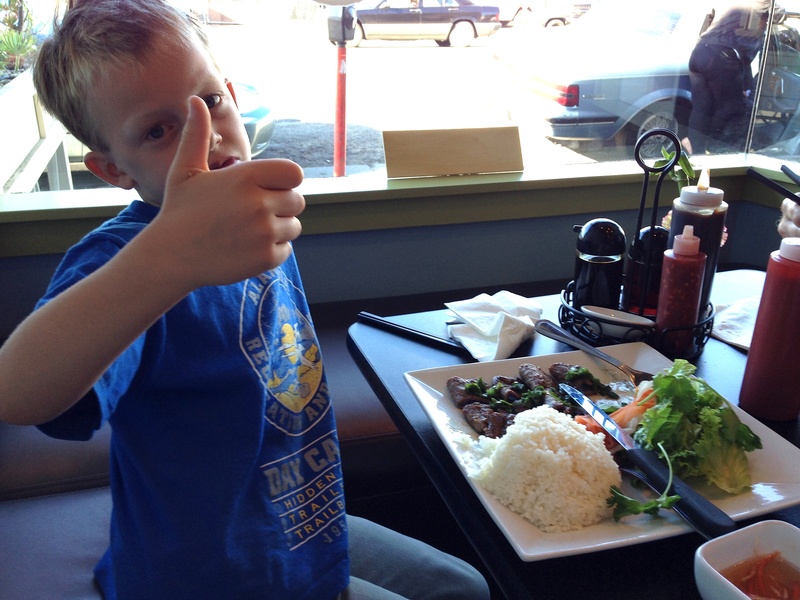 Com Tam Bi Bo (Grilled Beef with Rice): Thumbs Up for the rice (as usual). Thumbs medium for the steak, although I thought it was delicious. Thumbs way up for the pickled daikon, cucumber, and carrot salad. Banh Mi Bo Kho (Beef stew with french bread): Thumbs medium, he liked it ok but not overwhelmed. Bo Luc Lac (Beef stir fried with egg noodles): Thumbs up, tasty. 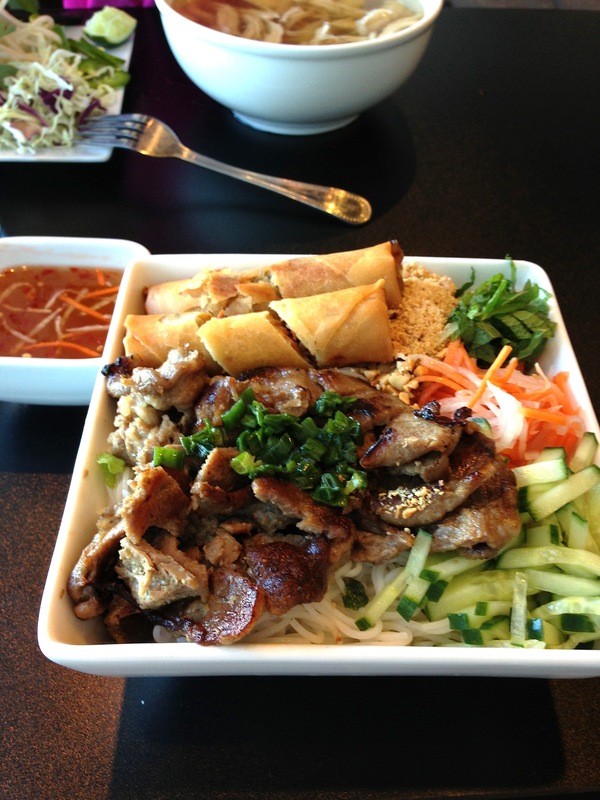 Cha Gio Heo Nuong (Rice Vermicelli Salad with imperial roll and grilled pork.) MMM, one of my favorites and this one didn’t disappoint. Pho Ga: Thumbs Up, the broth was really flavorful and good. WARNING: Fingers could get accidentally bitten off during the feeding frenzy this causes. Sidestreet Pho: Now in our regular restaurant rotation. 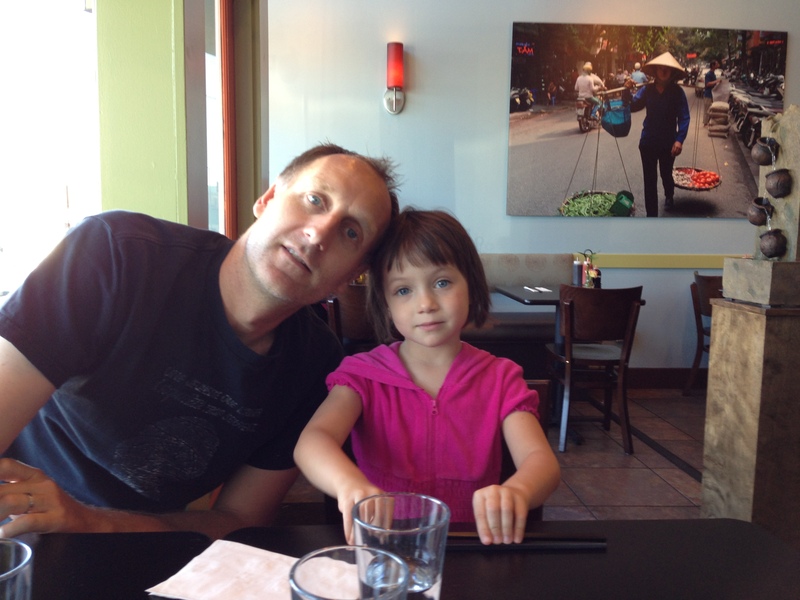 This entry was posted in Challenges, Restaurant Challenge and tagged Alameda, food, Kids, Restaurants, Sidestreet Pho. Bookmark the permalink. that dessert is out of control.